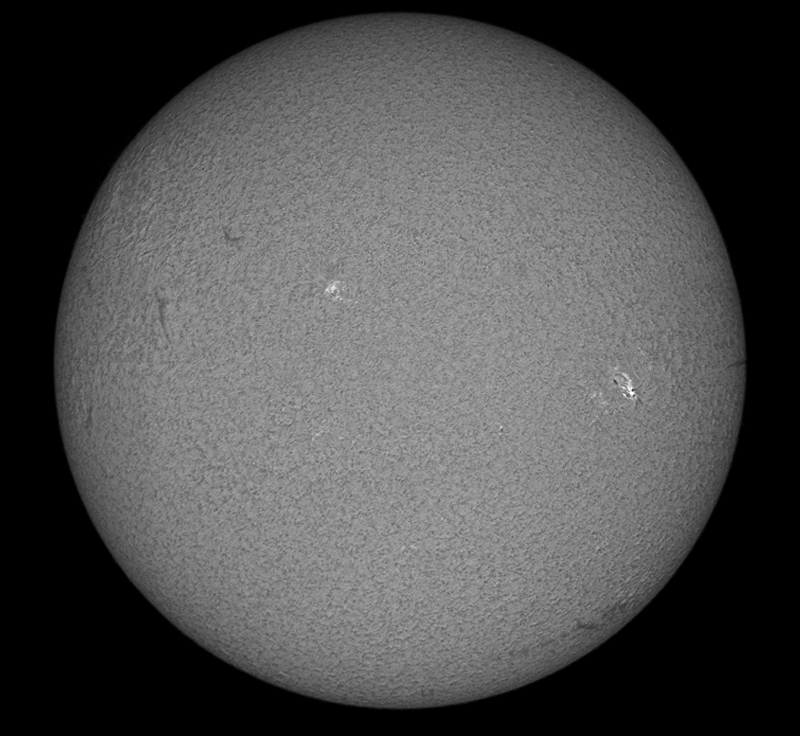 A 220 frame AVI was captured using the colour DFK camera before clouds came in. The AVI was stacked in Registax and post processed in the Gimp 2.9. 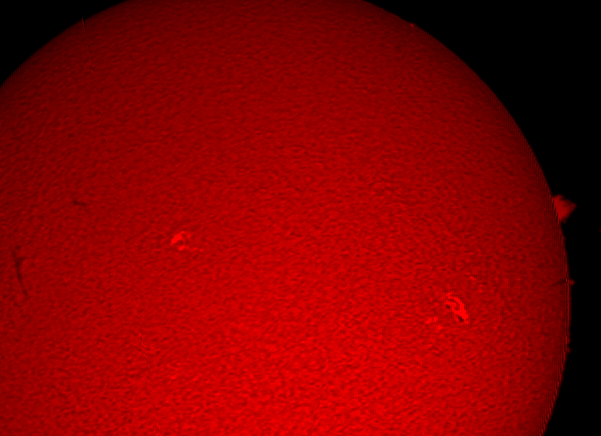 A prominence was captured as well as the active regions on the disk.